After settling back into my “normal” day-to-day routine following the LOBO Landing in Denver, I reflected on the event. What a wonderful opportunity to share time with a great group of interesting and talented people who love flying these incredible machines. Like many of you, I didn’t do anything to help prepare for the event – I just showed up. Showing up made me realize the enormous work involved to make the event so successful. A big thank you to the Board and everyone else who helped the Landing come together, and special thanks to the sponsors who help provide funding to make it happen and support LOBO. Just making the effort to get to this year’s Landing was an enjoyable learning experience for me. I spent several hours with Dave Skinner in IMC avoiding thunderstorms and shedding a little ice as we weaved our way across the Midwest. Flying with another Lancair pilot is always an opportunity to learn something! We then had the opportunity to visit Valin Thorn at his hanger and see his beautiful new Legacy before I continued on to Redmond where I had more opportunity to learn from JC Peterson of Elite Pilot Services and Matt Brannon at Lancair. I've been privileged to attend the last three Landings, and each time I feel like I come away a better pilot. Being able to share stories with other Lancair drivers and learn from their experiences helps me improve the way I fly. Inevitably I also learn more about the planes, how they operate and how to maintain them. To me, this is information I cannot easily obtain anywhere else. In most parts of the country (and certainly outside the United States) Lancairs are few and far between. Meeting and learning from other Lancair pilots and service providers has been a huge help to me. Fundamentally, it seems to me that is one of the two great benefits of LOBO – the opportunity to learn from and connect with each other. The other, of course, is to make us all better and safer pilots. 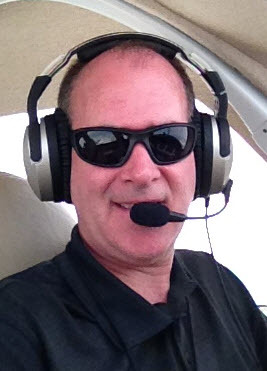 Thanks to Jeff Edwards, we are beginning to understand how an organization like LOBO, specifically designed for pilots flying the same types of planes, can make us safer, better pilots, contain ownership, operating and insurance costs and protect the health of our segment of general aviation. Personally, I'm grateful for Jeff’s willingness to devote his time and leadership; I think we all benefit. 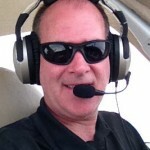 When I first considered purchasing a Lancair (built and flying), I was given Jeff’s name as someone I should speak to. We had a great conversation. Jeff was helpful, but cautious. (I now understand it’s how he’s built.) Jeff encouraged me to get LOBO approved transition training. I took him up on his suggestion and didn’t touch the controls without first having a LOBO instructor in the right seat. I spent several days in training and left feeling (mostly) comfortable in the plane and understanding the basics of how to fly it. Recurrent training has helped me refine my skills and understanding. Frankly, it seems to me anyone who hops in one of our planes (or any high performance plane) without specific training is accepting unnecessary risk and doing a disservice to aviation and the public. As we begin thinking about next year and beyond, my objective is to help LOBO meet your needs. As a community, we all want to enjoy flying our beautiful airplanes. In order to do this, our planes need to be well maintained and we need to be well trained. By being a safe, responsible community we protect ourselves and gain the respect of the public and government regulators. Every Lancair owner or pilot should be a member of LOBO. Every Lancair pilot should receive recurrent training appropriate for their aircraft. We all benefit from an active exchange of ideas and experiences among members. We need to have constructive, open and frequent dialog with Lancair. I'll work as a Board member to facilitate these. Please reach out to me with your ideas about what LOBO can do to meet your needs. Steven Bradford is LOBO's newest Board Member. For questions or comments on this story contact Steven via email at bms5656 [at] gmail.com.